Several years ago, my friend Becky Stern (formerly of Make:, now at Adafruit), told me I should get Tools and How to Use Them. 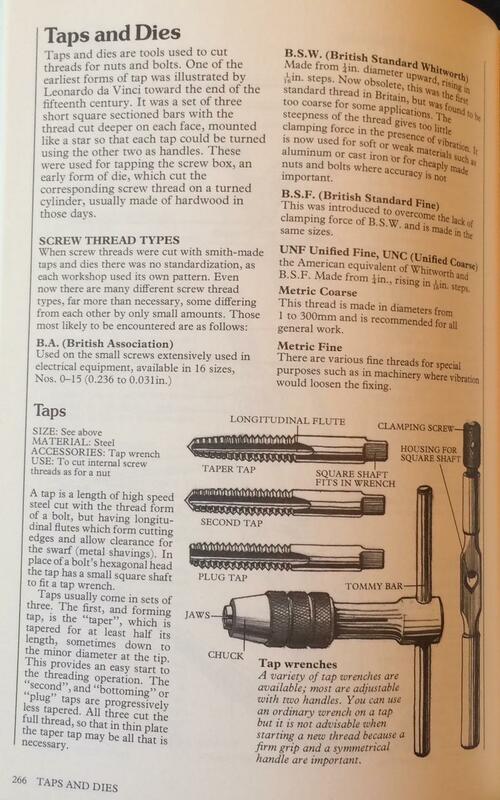 I really didn’t think I needed yet another tool tome, and one mainly about perennial, analog tools. But I found a near-new copy on Amazon for .01 ($4 with shipping), so I figured, what the hell. As soon as I began thumbing through it, I knew I’d scored a wonderful treasure. 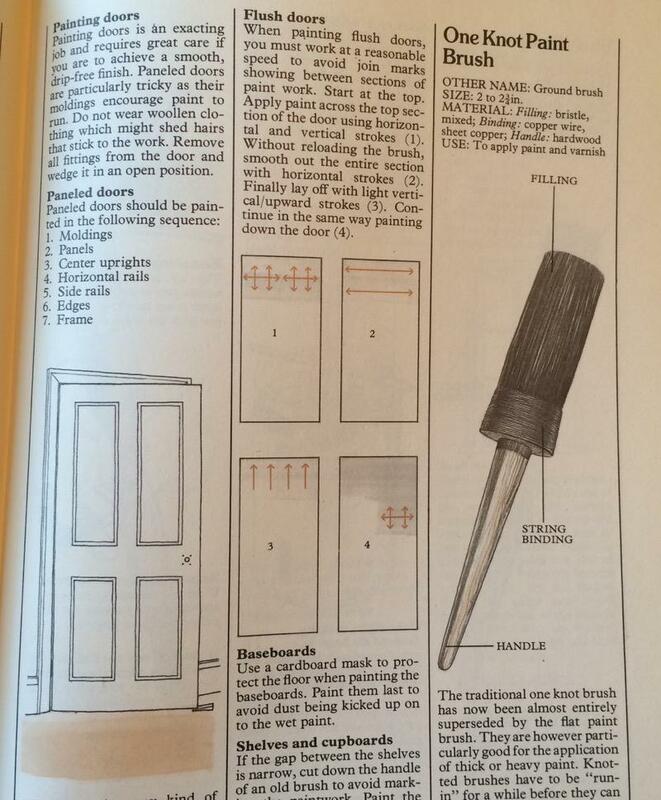 Over the years, I’ve frequently reached for this book when doing research for articles on various types of DIY. 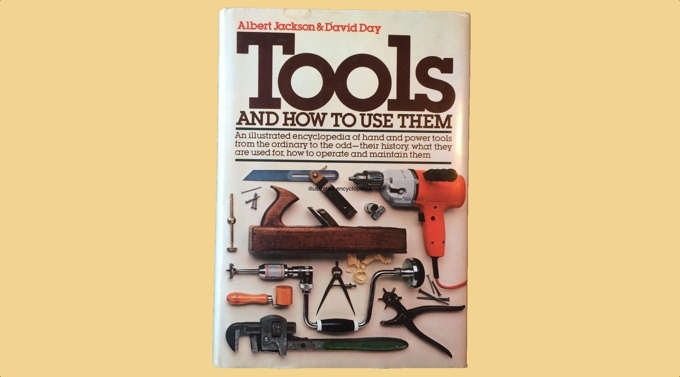 And, of course, this book has given me a better working understanding of the tools in my life, from the everyday to more exotic tools. 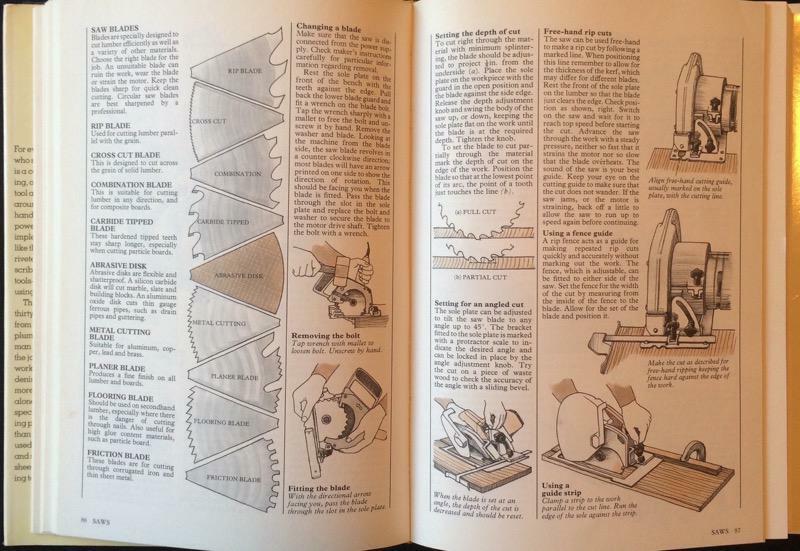 Tools and How to Use Them is a black and white illustrated encyclopedia. The illustrations are lovely and plentiful and they help create a mood around the book that I think makes you see the tool in a new way. (I get a similar feeling with the illustrations in Cook’s Illustrated.) The tools are grouped by general type: rulers, plumb and level, rasps and files, welding tools, digging tools, etc. Each entry has the name of the tool, alternate names, typical size(s), typical material(s), and how to use it. 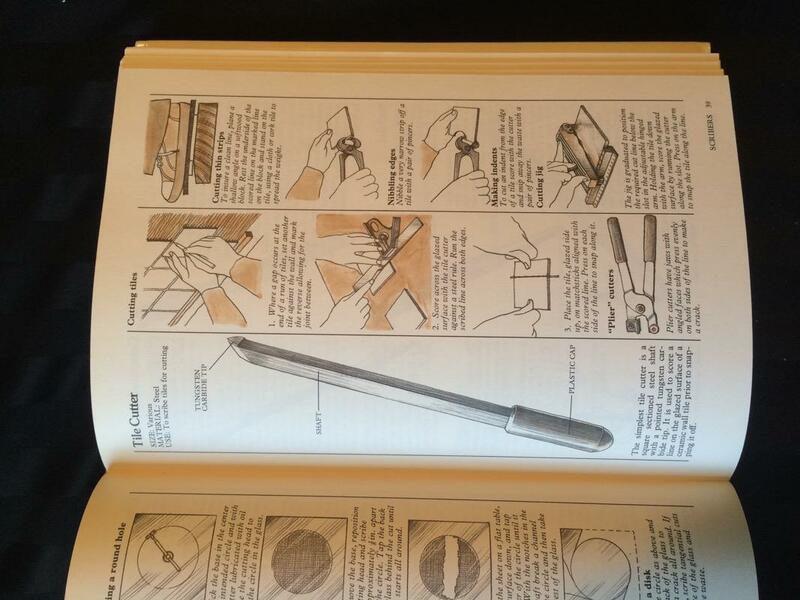 The illustrations show the tool, some uses of it, and special features or variations of it. 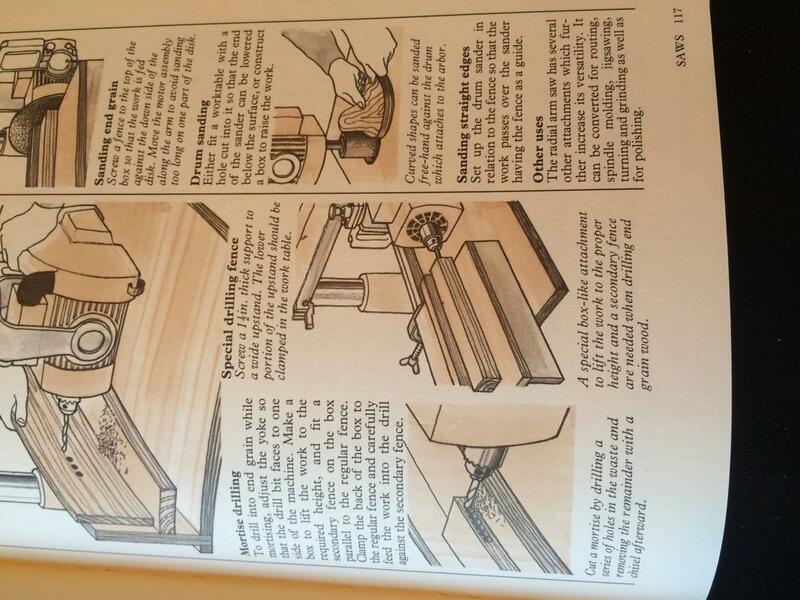 It really is kind of surprising how much useful information this book packs in. At least for a casual maker-generalist like myself, I’ve really learned a lot about a diverse range of tools, including some I may never see in person. There is also a brief, but informative, glossary of tool-related terms. I bought it for four bucks and it’s become a treasured and indispensable resource. I’m so glad Becky encouraged me to get it. 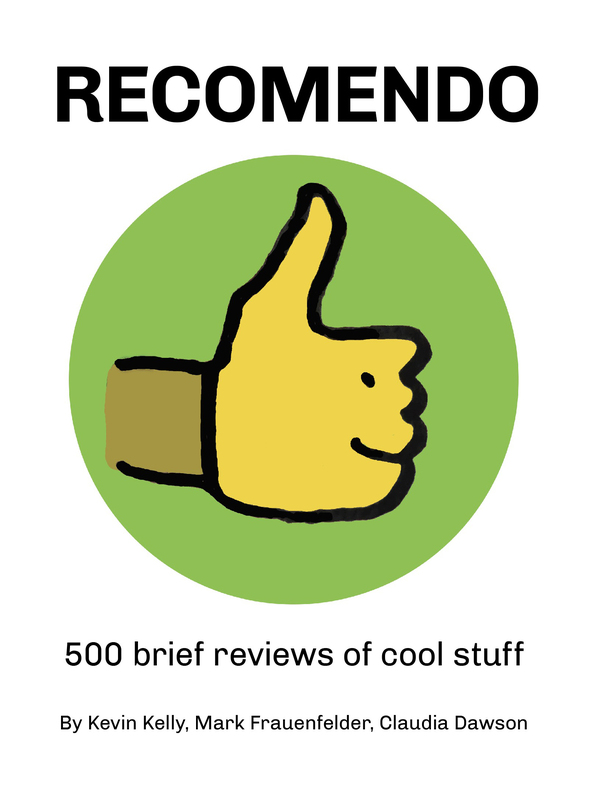 And now I’m encouraging you. Copies are still available for a penny.